The first integrated identity and mobility management solution delivered entirely in the cloud. Kavalus provides cyber security and information technology governance services. It offers strategy and assessment services, including identity and access management risk assessments, identity and information security strategy, data protection strategy, Oracle Middleware Security Product Implementations and GRC assessments, cloud security strategy, and solution architecture and vendor selection, as well as governance, risk and compliance transformation. Further the company provides security services including enterprise private cloud and enterprise gateway; help desk services; K-Flex and K-Ready are both cloud services for mid-size and emerging businesses; and K-BiPass provides enterprise mobile passwordless authentication security services using IOS and Android based smartphones, smart watches or tablet devices. Kavalus provides clients with more than one form of security. Our clients not only get the benefits of a SECURE system but also feel secure in that their solution is being built on the cornerstone of our business, Agility, Integrity and Hard Work. 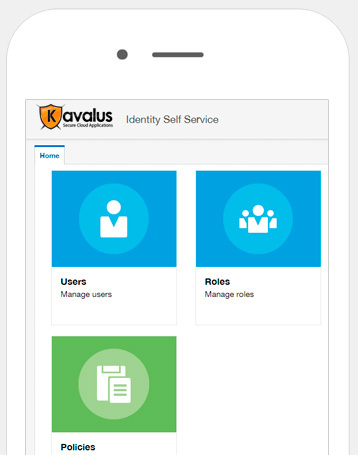 Kavalus delivers its clients a completely integrated, robust, customized and SCALABLE infrastructure and Identity Management Solution in the Cloud. Our solution can easily grow with our client’s needs seamlessly. This provides our client with the benefit of keeping their costs in line with only what they need. Since it’s start Kavalus has made forward thinking and staying on top of the newest updates to the security technology. The direction of the company has always been CLOUD-FOCUSED and this has helped us to not only stay very knowledgeable about the cloud but also has provided us with our product expertise.